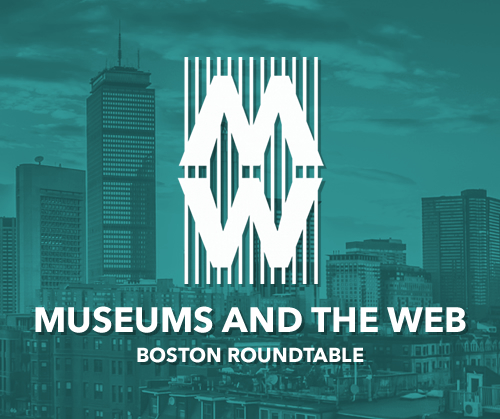 Recap of Museums and the Web's Roundtable in Boston. Yesterday, we joined Museums and the Web for a special roundtable in our own backyard, Boston! Members of the Cuseum team were excited to connect with friends and local museum colleagues to collectively dive into one of everyone’s favorite topics: storytelling. Rob Stein started us off with a keynote focused on the importance and fundamentals of a great story. Rob, a museum thought-leader best known for his work at the DMA and IMA was introduced by Titus Bicknell as “an avant-garde agent of change” and his talk hit on a number of important topics. Here are a few points we found interesting. When immersed in a great story, oxytocin is released! Storytelling makes you more receptive to others who are different; an increase in empathy. With that in mind, the impact of stories on society is immense and should push us to place an even higher value on storytelling in the museum. Fun fact: before entering the museum field, Rob worked on technology-driven experiential research projects, some including head-mounted displays for virtual reality. He shared his very optimistic view of VR for creating immersive experience at the museum, and further projected that a museum’s use of VR will someday be just as important as is social media presence is today. Museums complicated relationship with fiction. Buildings that are poorly designed for immersive experiences. Lack of tools to create and manage transmedia non-linear stories. Unnecessary barriers between museums and the performing arts. Following Rob’s keynote, Sandy Goldberg, Halsey Burgund, and various audience members shared their perspectives. “Interactivity is not just digital. It can be interaction between digital and physical space” - Sandy Goldberg, on visitor interaction. This viewpoint falls inline with shared authority, a current trend in the museum and historical space to open up interpretation with the public. As the conversation opened up to the audience, the topic of nonlinear (contextual) storytelling and immersive experiences was further discussed. …the event was wicked awesome. Thank you Museums and the Web for continuing to stimulate, challenge and facilitate conversations that are integral to the museum community. We look forward to seeing again in Los Angeles this April!